Suzie Valdez handles the front desk responsibilities. She has over 20 years of experiences in all facets of dentistry, ranging from chairside assistant to treatment and insurance coordinator. This experience allows Suzie to thoroughly explain treatment plans and insurance benefits to the patients and answer all of their questions or concerns. In her spare time, she enjoys working out at the gym and teaching various exercise classes, including cycling and sculpting. 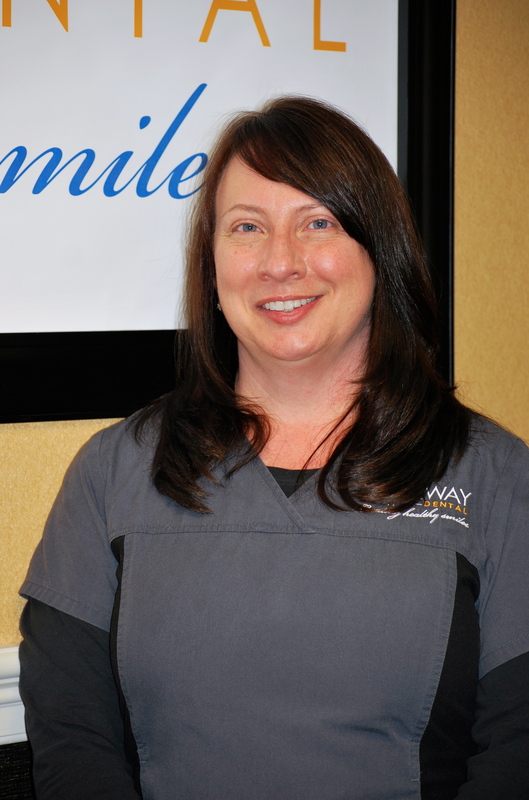 As a native to California, Suzie brings a relaxed personality and bright smile to our dental office. 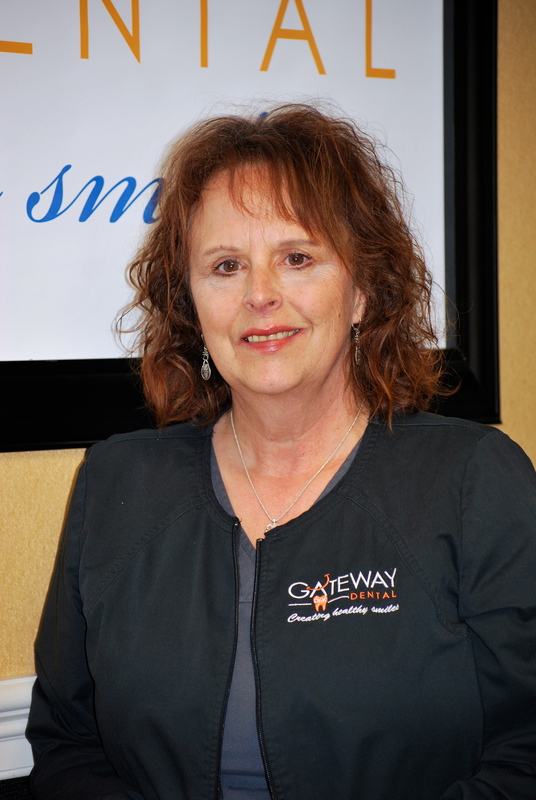 Jeannie is a registered dental hygienist and has over 20 years experience. With each dental hygiene visit, she’ll perform a thorough and detailed cleaning. In addition, she educates her patients on dental hygiene and makes appropriate oral health recommendations. Jeannie is married and has two adult sons and one teenage daughter, and she enjoys “hanging out” with them. In addition, she has a “fur-family” of two dogs and two cats. Jeannie is a dental professional who takes her responsibilities serious but is sure to make you laugh at least once during your visit. 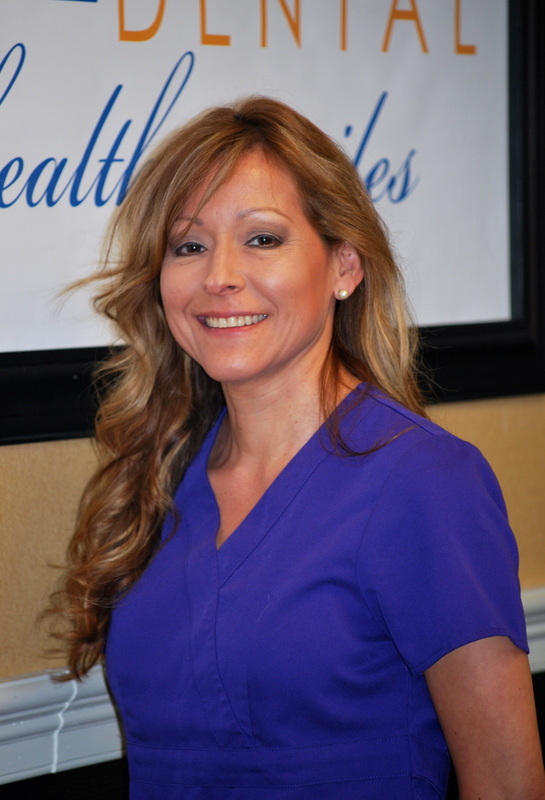 Elena Vogel is a certified dental assistant with over 15 years experience in the dental field. Her primary focus is to assist Dr. K and to ensure that the patient is comfortable and at ease while receiving their dental procedure. Elena is recently married to Allan and together they reside in Pennsylvania. She has three grown stepdaughters and two stepgranddaughters. With their free time, they enjoy spending time with family, friends, their “fur-family,” and kayaking and hiking. Elena’s warm demeanor and knowledge of dentistry will make each dental visit a pleasant one.